In the fall of 2008, CUUSOO SYSTEM and the LEGO Group teamed up to launch the LEGO CUUSOO crowdsourcing experiment. Initially, the site was only available in Japanese. But the promising results from the pilot led to the launch of the international LEGO CUUSOO beta site in the fall of 2011. Today, the LEGO Group is very happy to announce that the partnership with CUUSOO SYSTEM, has been such a success that we have decided to integrate the CUUSOO concept more closely into the LEGO experience called LEGO Ideas. We are grateful for the many years of collaboration and experimentation between our two companies and wish CUUSOO SYSTEM continued success, building CUUSOO as an open crowdsourcing platform for brands to connect with their fans on cuusoo.com. All projects, supports, comments, profiles, and other data from LEGO CUUSOO will be automatically migrated to LEGO Ideas. When LEGO Ideas goes online April 30th you'll be able to sign in with a LEGO ID, find your old LEGO CUUSOO account, and connect to it on LEGO Ideas after clicking a confirmation link we will send you via email. NOTICE: Please ensure you have access to the email address associated with your LEGO CUUSOO account, you will need this to access your old profile and projects on LEGO Ideas. The LEGO CUUSOO domain will redirect to LEGO Ideas for 6 months. During that time, links to your projects on LEGO CUUSOO will automatically redirect to your project page on LEGO Ideas. We recommend you update links to your projects because after November 1, 2014, all links to LEGO CUUSOO will stop redirecting. Effective April 30, 2014, the LEGO CUUSOO Terms of Service will terminate, meaning at that time the agreement at http://lego.cuusoo.com/terms/ will no longer be in force and the LEGO Ideas Terms of Service version 1.0 will go into immediate effect. Any and all rights you have assigned to LEGO under the LEGO CUUSOO Terms of Service will remain assigned to LEGO under the LEGO Ideas Terms of Service version 1.0. Once LEGO Ideas launches, you'll be able to continue promoting your existing projects and participate on the new platform by accepting our new Terms of Service as explained below. 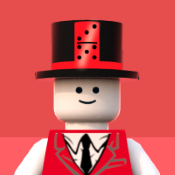 If you do not accept the new LEGO Ideas Terms of Service version 1.0 you will not be able to log on to LEGO Ideas and access ideas previously posted on LEGO CUUSOO. Thanks again for your participation on LEGO CUUSOO, and we look forward to seeing you on LEGO Ideas. "On April 30th, the LEGO® CUUSOO beta will end to be replaced with LEGO® Ideas. For details click here: http://lego.cuusoo.com/transition." If a project doesn't reach 10,000 supporters within the year, it will expire and will no longer accept supporters. After that, you're welcome to re-submit and try again with the same project, but it will re-start at zero supporters and must reach 10,000 unique supporters within one year's time to be considered in the LEGO Review. 2. If you are between 13-18 years old you may now create and submit projects, but if your project reaches 10,000 supporters, we will require written permission from a parent or legal guardian before your project is considered in the LEGO Review." I can't find anything about using customized parts, did I mis it or is the rule gonne? I think the customized parts will still be covered by the existing house rules and guidelines. Yes, the one year rule will speed things up dramatically, and it will combat "Cuusoo Apathy". Now fans will be forced to support a set, or else risk losing it forever! And yes, it seems like all of the rules on customized parts will continue, since they did not specify any changes there. I like the one year idea, but I'm going to miss the name Cuusoo. That kids as young as 13 can submit ideas now is great. It may be hard for us to keep in mind sometimes, but kids are still LEGO's primary customers, after all. I wonder whether the Ghostbusters and Exo-suit sets will carry the CUUSOO or Ideas name on the box. Also, since certain sets that run for a while sometimes get packaging revisions, I wonder whether the currently-active CUUSOO sets will get new Ideas boxes. One year is not good- some of the products that are made now took over a year to reach 10k. I don't like this idea at all- I'm still calling it cuusoo, by the way. Interesting putting a time limit on it. I think it makes some sense, considering their current website is littered with proposals which have obviously failed (only a few votes in more than a year). I was always bothered by how a project that made it to 6000+ votes and onto the front page would sit there forever, and the only way for it to leave was for it to get 10,000 votes. (Or be overtaken, theoretically.) This has meant that the front page is really stale, and I've seen all the projects there for ages. I would much rather see fast-moving 500-vote projects being promoted than the ones that have already got traction just waiting to pass the goal. For this reason, I am very supportive of the year time limit - and I hope the website is a bit easier to navigate to find trending projects. I would definitely be a more regular visitor if the site was a bit more dynamic week in and week out! Lets hope that finally something interesting comes out of it! i mean for the Ghost Busters and Back to the Future fans it was fantastic! but can we maybe see something for a newer film? i also would like to see a extra set to an already existing theme! I'm a bit mad about the "1 year to get to 10,000 or it gets deleted" thing. Sure, it makes sense from a business perspective, but that just means that I am going to have to promote my project to death in order for it to achieve the goal. And, even if it does, there is no guarantee that it will become a set. What, with the LEGO Review and all. My project has been up for a tiny bit over a year, and guess what? It only has a little over 600 supporters. Just imagine how tough this is going to be. And LEGO Ideas? Not CUUSOO? I'm still going to call it CUUSOO. - Make voting easier. Currently you need to register to vote, and that is something many just don't do. I've had 25000 viewers, and 994 votes. So that means 4% of those who visited, voted. Currently the nr. 1 project is the Invisible hand; there just 3% voted! - Draw more attention to the site. Cuusoo, Rebrick, there are various LEGO sites which are hardly promoted from the marketing tools LEGO has at hand; as a consequence traffic is a lot lower than it ought to be. Multipage advert for the new site in all LEGO catalogues maybe? In-store promotions for the site? LEGO prizes when you vote or register? More action on social network sites? - Generate more 'buzz' for projects that are in a lift. Last year we would get an official nod from LEGO at 500 votes. Now it's 1000 votes. And after the 1000 votes? LEGO won't look at it until you get to 5000 votes... Could be more, feedback could be better and more thorough; create some buzz LEGO! Why did they change the name? It seems like it's basically the exact same program except they changed a couple rules. Did they decide Cuusoo wasn't a good name, or is this actually a completely different thing? The thing is, they want people voting who are actually interested enough in these projects to buy them if and when they become products. If voting is so easy that anyone can do it in a second without having ever visited the site before, they'll get a lot of meaningless votes. Voting is pretty darn easy right now for people who actually care about the projects - it doesn't take much time to register. They do ask some questions when you vote (how much you'd pay, why you're interested, etc. ), but that's undoubtedly because the info is valuable to them when projects enter review. Very true, and I have every confidence this will happen eventually. Of course, it's worth noting the site's earliest users overwhelmingly spoke not English but Japanese. I think they will indeed start promoting it more, now that it's moving out of beta. However, I think offering LEGO prizes simply for voting or registering is wildly impractical; they'd be losing money on a venture intended to make them money. Even if you mean giving out prizes randomly for every so many projects or votes rather than for every single one, there's still a possibility of people voting for or even creating projects they don't actually care about, just for a chance at scoring some free bricks. It could clutter the site horribly, skew the support for projects, fill review batches with scads of 10k votes-getting projects whose supporters may or may not actually be interested in them... you get the idea. More action on social networks is definitely part of the equation, but it's largely our part. The users are supposed to take charge of promoting their own projects, and the successful ones are ones that have done so. Promotions in-store and / or in the catalogues is a definite part, and one I think will happen - actually, catalogues do already promote it to an extent, albeit not necessarily with double-page spreads. Those mileposts seem pretty well-set, actually. As you note, they've already tweaked the points at which they offer comments, to arrive at the ones they have now, and I think it's working pretty well. They already have things like the LEGO CUUSOO Facebook presence noting whenever a project gets a new official LEGO comment for hitting a certain milestone (and it also selects various projects of interest and posts them to its wall, including brand-new ones that have just gone up). Mmm... this one I really don't know about. Different projects, even ones that overlap on the exact same subject matter, may have various distinguishing features - for example, the two Doctor Who projects that have already reached 10k votes aren't identical, and while either could be seen as just saying "do LEGO Doctor Who," the actual content of the two projects is pretty important to many supporters, so that many users have a distinct preference for one or the other. And still other projects cover other, entirely different things from the franchise. The new one-year limit will already pull out a lot of such extraneous projects without LEGO CUUSOO LEGO Ideas folks having to expend a lot of extra effort to weed them all out. CUUSOO isn't a good name for (what I assume is) the target Lego demographic: kids. How do you pronounce it? What does it even mean? Kids can grasp "Lego Ideas." I like the one year time limit. If a set can't reach 10,000 votes in a year, I can't imagine it will be that successful once made. Related to that, once Lego Ideas is integrated with the Lego website, I think more people will check it out and more people (already registered to the Lego site) will support projects. What? *Barfs* LEGO Cuusoo being replaced by.........LEGO ideas? Hm? Nice idea! I love it! keep it up! I bet people kept emailing LEGO saying, "What does CUUSOO mean?" so they changed it. The one year limit is tough if you don't have a really strong fan base supporting an idea (which seems easier with license products so probably we'll see even more of these). Well Cuusoo was the name of the external company they were partnering with, so I guess bringing everything in-house probably required a name change anyway, although I have to say that Lego Ideas sounds like a better name to me, it's easier to say and conveys the concept better too. The year thing is also an interesting addition. It was clearly necessary from the point of view of preventing projects from creeping all the way to 10,000 without any of the real momentum necessary for it to be successful, as well as giving a clear cut off point for stale projects that even the creators have probably become bored of. Obviously there are going to be a lot of complaints about it though, because more than anything else they've done so far, it forces you to go out and actually promote your own idea to the people you think will vote for it and many project creators don't seem interested in doing this, assuming that Lego should be the ones promoting ideas. Yeah, can an admin delete this post? There was a link in the post I was quoting that wasn't meant to be shared. Thanks! I like the one year time limit. If a set can't reach 10,000 votes in a year, I can't imagine it will be that successful once made. The new age limit makes me very happy as I'm underage. Due to the change though wouldn't it trigger a flood of subpar projects? It makes we wonder why they would reduce the age limit rather than reinforce it. I don't visit CUUSOO very often so I might not know what I'm talking about.